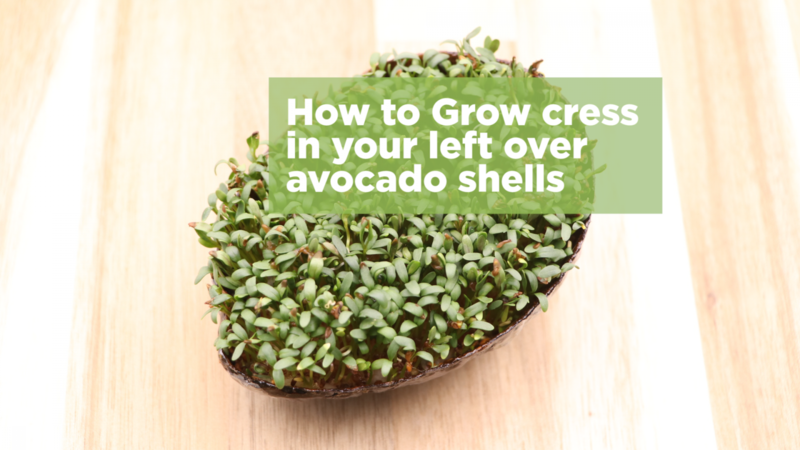 How to grow cress in your leftover avocado shells - AvoSeedo - Grow your own Avocado Tree! Avocados are amazing, you can even reuse them to grow cress for your avocado toast. This entry was posted in Gardening and tagged Avocado, cress, gardening, healthy, home grown, recycle, reuse, up cycling.